I wanted to include an ice cream in my previous post – the duo of avo starter, but somehow, it just didn’t work when paired with the other components. Although it tasted quite amazing. 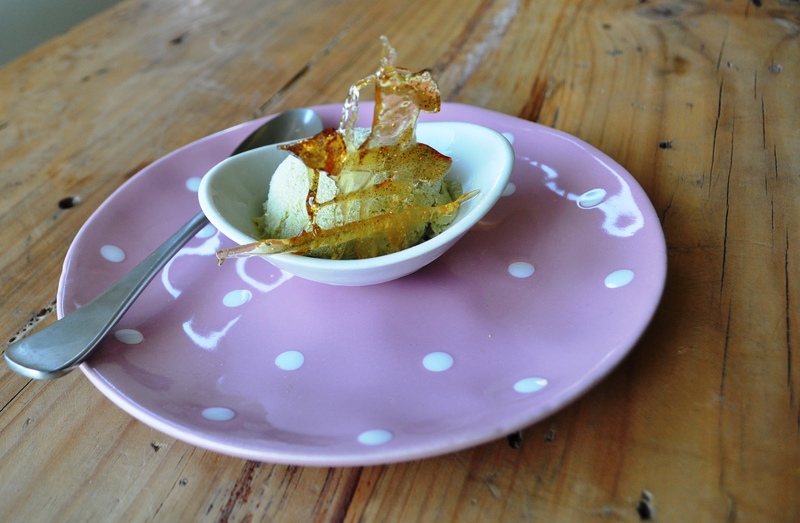 I was still fixated on the idea of a savoury ice cream and was racking my brains, trying to think of dishes to include it in, while walking up the stairs, when this ice cream shoved all thoughts aside and demanded to be created. So, on a whim, in the early hours of a weekday morning, when it was still dark outside and the world was sleeping – I set my vision free. In my opinion, avo was born to become ice cream. These flavours compliment each other so well and the burnt honey adds a subtle dimension that lifts the vanilla custard to another level. 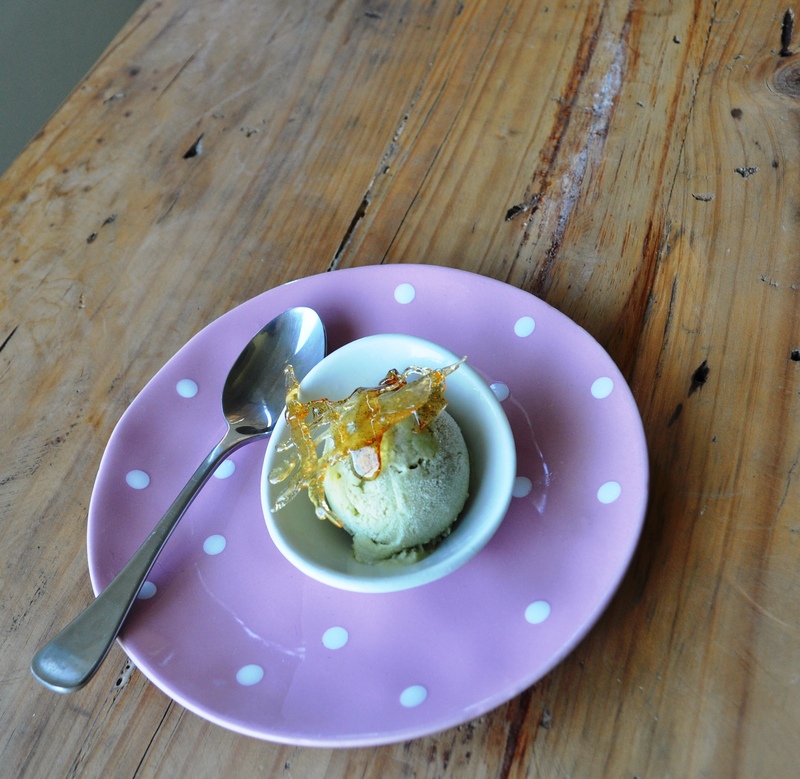 It is a creamy, smooth ice cream with nutty caramel tones that has to be tasted to be understood. *If you have Candida, honey should not be consumed in large quantities.